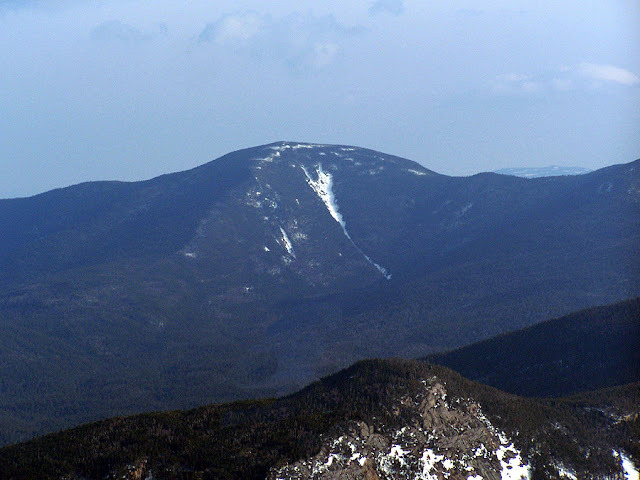 North and South Hancock are located just outside the boundary of the Pemigewasset Wilderness. The Hancock loop trail goes over both peaks and is very steep and has rough footing the half mile or so going up to each peak from the Hancock Loop Trail Split. There are no other trails that take you up the Hancock's but there is the "Arrow Slide" which is a steep open slide that is another way up to North Hancock. There are two outlooks near each summit that have decent views and usually there are Gray Jays at the summit which will eat trail mix right out of your hand!